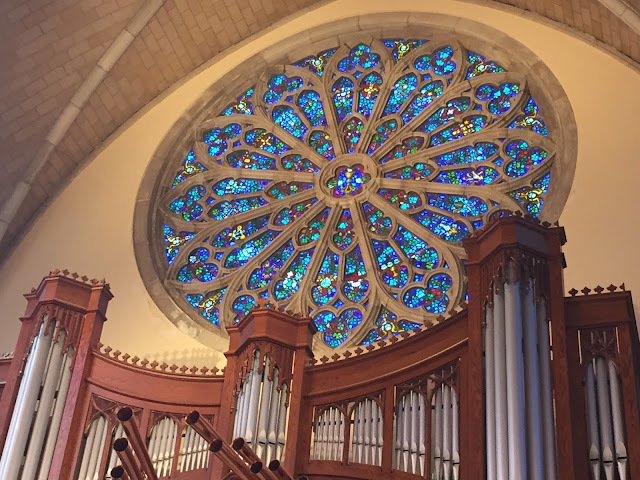 The rear of the nave of All Saints' Chapel, Sewanee. Most Merciful God, we rise to greet this day You have made, hearing the praise song of creation testify to your glory. May we echo that praise in every moment, from our rising to our resting, and bear witness to your Love. We thank You for your manifold blessings, especially your fellowship of saints and companions who guide us in wisdom. Set our feet firmly in the paths of peace and compassion, O Holy One, and help us to love unreservedly as Jesus taught us. May your Spirit descend upon us like a cloud, that our tongues may tell out your wonders, O Earth-maker. God of Compassion, bend near to all who seek You, and envelop all who call upon You with hope. 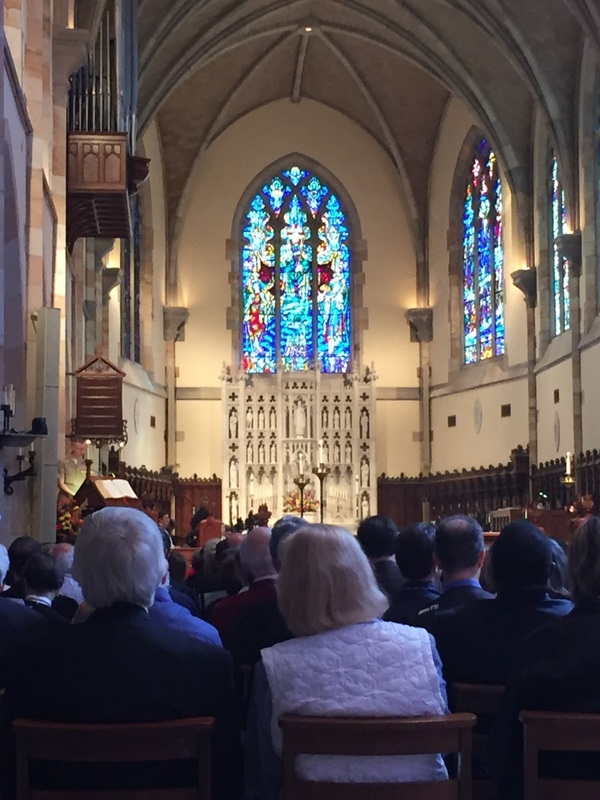 Worship at Sewanee during the DuBose lectiures with former Archbishop of Canterbury Rowan Williams. Almighty God, we thank You for your protection and care over us in the night. Help us to walk in the way of wisdom today, worshiping You in all our words and deeds. Help us, like Jesus, to be with and for others, emptying ourselves to be filled by your Holy Spirit and do your will. Holy One, grant us your grace and peace this day. Be with all who travel, that they rest in your traveling mercies. Place your hande especially on those who call upon You in joy and in anxiety. 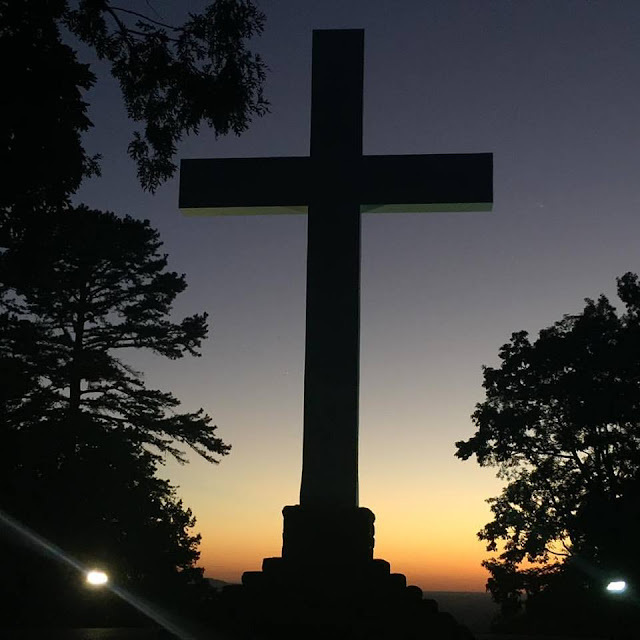 The Memorial Cross at the University of the South, Sewanee, at dusk. Most Holy Lord, God of All Tenderness, we arise with joy to seek your truth, and be led like children into your ways. We give thanks for the love that supports us, for companions and loved ones who keep faith in joy and sorrow. Forgive us for our offenses, and uphold us in the embrace of your love and mercy. Lord Jesus, we pray for justice and wisdom to roll down like waters, to lift us like a tide over the shoals of division and disaster. Give us hearts open to each other, enlightened by your gospel, transformed by love and faith. Strengthen the hands and skills of doctors, nurses, and caregivers, that they may persevere in compassion. Gentle us, as a mother soothes her restless children, and let your embrace bring us to peace, we pray. Holy One, you press upon us behind and before: envelop those who call upon You in your unfailing mercy. 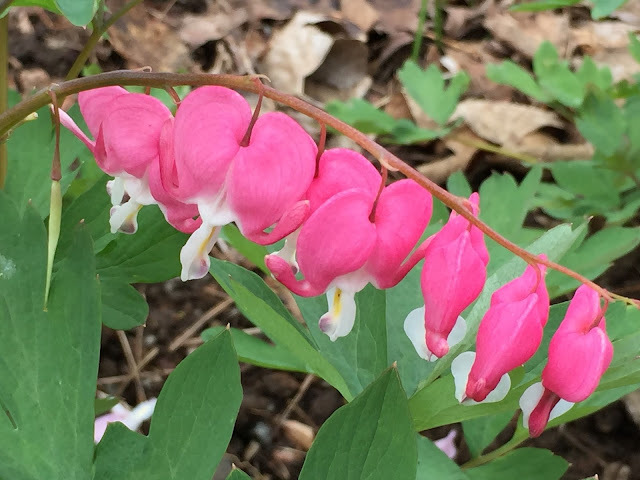 Bleeding Hearts outside St. Augustine's Chapel, Vanderbilt University. There are many times in scriptures when I can picture Jesus with his hand on his face, looking abashed or stunned. Usually I think of Jesus doing this when I continue to do something stupid, or fail to have faith in some unbelievably generous promise, like grace for either myself or for others, when I am all too willing to hold a grudge to my heart and nurture it like a bosom companion. This coming Sunday’s gospel recounts one of those times when I imagine Jesus felt that way with his apostles when they just don’t seem to get it. But Jesus keeps trying, both with his apostles and with us. And thanks be to God for that. Thus the apostles here are asking for the faith to forgive even if the offender continues to offend. There are no limits to this requirement it seems—even if the offense is repeated seven times a day, so long as the offender states that he or she wishes to repent. They can never give up on the one who offends, for that is exactly how God treats us, and the entire point of being a disciple is to emulate as much as humanly possible the example set by one’s master. If ever the gospel spoke to our current context, I would think that this would be one of those times. We are awash in a debate in this country of what justifies force being used against persons, particularly those of color, by the police. Our policing policy seems to be based upon the idea that those convicted or even suspected of crime deserve harsh treatment, including the inflicting of pain, injury, and sometimes, even death. Yet the story that gives us hope in the gospels is repeatedly that of what the songwriter famously referred to as “amazing grace… that saved a wretch like me; I once was lost, but now am found—was blind but now I see.” Are we really comfortable with giving up on the hope of redemption for our brothers and sisters, when, if truth be told, we are all ever so grateful forgiveness and redemption are available for us in our own lives? I repeat: Jesus makes it clear that we can never give up on the person who offends, who hurts us, who even betrays us, because that is exactly how much God forgives us. I think we can all understand that the apostles felt the same disbelief that we feel contemplating this. “No way!” the apostles instinctively react, and they ask for more faith in response. 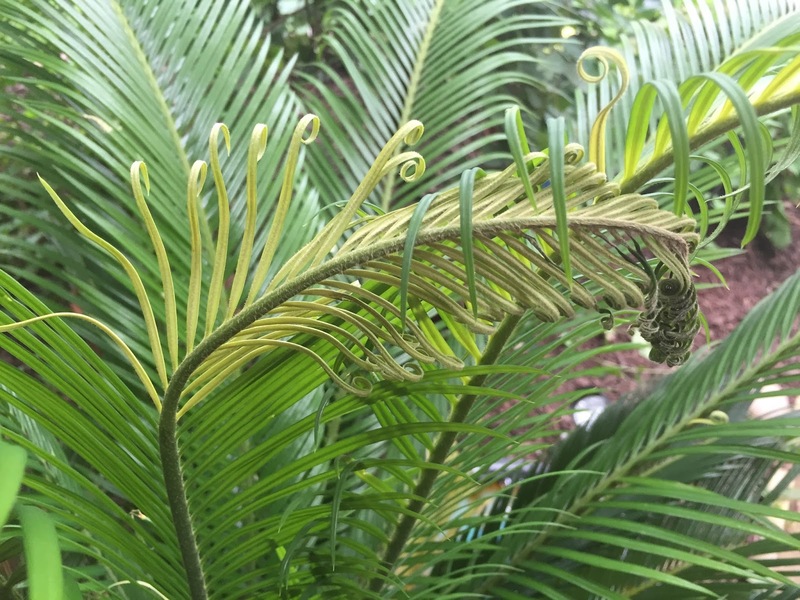 How much do we struggle with this, if we have anyone in our lives for long enough that their habits, quirks, and flaws begin to irritate us or provoke us to forget any good qualities they may have. Of course, once we concentrate on the flaws of others in the community, on times perhaps when they have let down their guard, and their weakness or broken humanity is put on display, the response real apostles (and real leaders) make next is crucial in modeling God’s kingdom-- which is true, steadfast love. Can we love imperfect people? Of course we can—if we don’t forget our own imperfections, and the forbearance we ourselves have received seven times a day. If the apostles themselves forget that they too have times when they have been just as weak and just as prone to error and brokenness, they can cause the “little ones” to stumble from the path that leads to redemption. But MORE faith isn’t required. Instead, Jesus then makes an important point in verses 5-6: you don’t need to have a huge amount of faith to do this. You just need a tiny bit, Jesus assures us. Faith the size of a mustard seed can produce wonders and miracles. With God’s help, anything is possible—including transforming our sometimes tiny, grinchy, mustard-seed-sized hearts, made haughty through believing that we have the right not just to judge others but cut them off into darkness and perpetual condemnation. We ALL—no matter who we are or what we have done-- deserve to be loved in spite of ourselves, and we can have faith that that is exactly what God does. God’s grace is limitless, even as our faith is limited and faltering. It is truly amazing. And, as disciples of Jesus, God’s love and grace made incarnate in the world in human shape, we are called to go and do likewise. As the Body of Christ, we too are called to embody faith, grace, forgiveness and mercy. If only we have the faith of a mustard seed in Jesus's promise of grace. 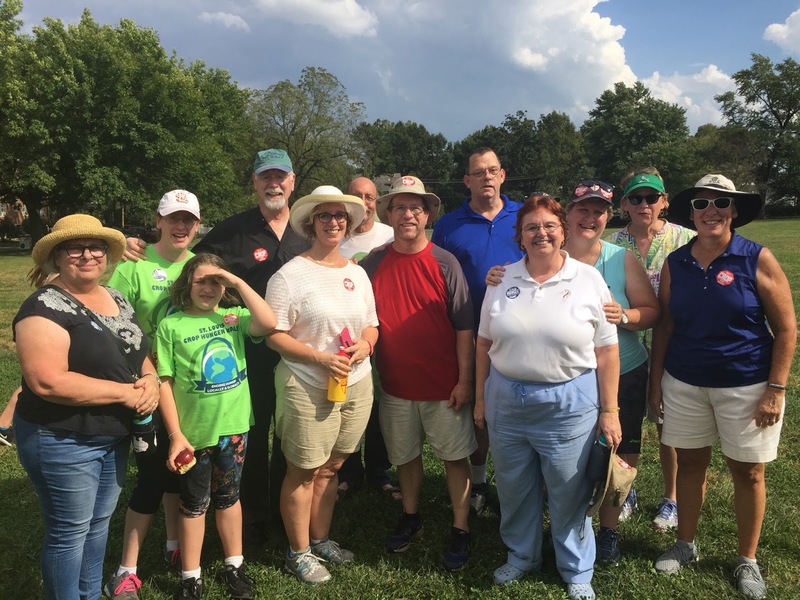 A large chunk of the Episcopal contingent who took part in the CROP Hunger Walk in St. Louis, September 25, 2016. God of Mercy, let our prayers rise to You with the morning mist, carried to You upon winds of faith and hope. We praise You and bless You, Our Rock and Protector, for watching over us through the depths of the night. From our rising to our resting, let us fasten our thoughts upon your commandments, that we may dwell in love. In all our pathways, may we walk in wisdom, gentleness, and peace. In all our trials, may we rest in the arms of our Savior, Companion in joy and in struggle. In each moment, may we be alive to the beauty of your creation in all we encounter. At day's end, may we lie down in peace, and rest once more within the unfailing goodness of our God and Creator. Fill us with grace through the power of the Holy Spirit, O Holy One, and press your blessing upon those we remember before You. Detail from a crucifix at the Museum of the Middle Ages, Paris. Holy One, we rise this day remembering our gathering at your altar, proclaiming your saving deeds and love for all of creation. You brood over us, O God, as a mother tenderly cares for her children, modelling compassion and reconciliation. Our lives are dependent upon your grace, Lord, in your reaching out to us again and again, even sending your Son to lead us. How then, can we turn our backs on our brothers and sisters, who suffer injustice, oppression, and want? Call us out of our own carelessness into the light of love and community, as a shepherd calls his sheep. Let our lives be a testimony to your abundance and holiness, Lord Christ, as we endeavor to live as You lived. Heal us of our hard-heartedness, and let us try to walk in the way of peace and justice. Accept our whispered prayer offered to You, Merciful One, and rest your benediction on those we now name. Most Merciful One, purify our hearts that we may gather in your courts with thanksgiving. 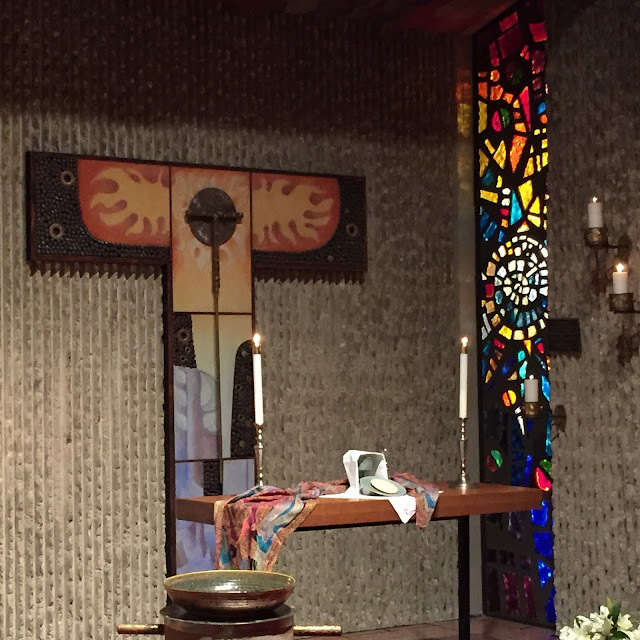 Help us to meet Jesus at the altar, known to us in the drawing together of the Body of Christ. Let us remember who we are called to be: Christ's hands, heart, and mercy in the world. Lord, forgive us our hard-heartedness: open our eyes to see the Lazaruses lying at our gates, and bring us to see Christ's face in each one. Let us remember our call to be bound together in love and hope, sharing each other's burdens with compassion. Let us work for the cause of peace and healing in the world, united as one people, without exception. Loving Savior, place your hand of healing upon us, that we may be reconciled to each other, and bless those we now name. Resilience. A flower pushes through an ancient wall in Girona, Catalonia, Spain. Lord Jesus, we lift our hearts to You to be filled with your limitless love as we walk in your path of peace. In your mercy, forgive us our failures, our jealousies, our maneuvering against each other regardless of cost. Make us faithful in little things, that we may be worthy of bearing your Holy Name into the world, O Holy One. Teach us to always walk in mercy and forgiveness, compassionate and welcoming to the stranger. Make us upright and generous, like a green olive tree in your house, O God, and make us a blessing to those we meet. Make us happy to serve others, Lord Christ, especially the lost, the forsaken, and those in any pain or grief. By your grace, dwell in our hearts and minds, O God, and place your hand of blessing on those who call upon You. 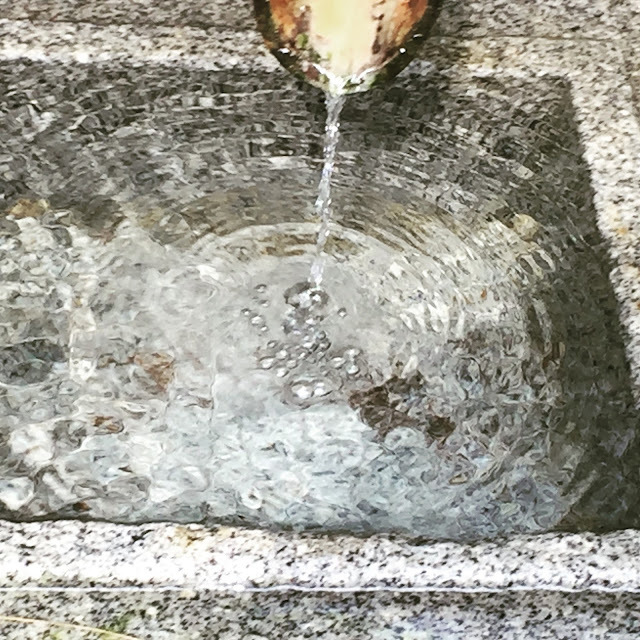 Fountain, Japanese Garden, Missouri Botanical Garden. Almighty God, we draw together to worship You in thought, in word, and in our actions. Let us make this day an oblation of Love to You, filling our hearts like a deep well, to pour out mercy to a thirsty land. Help us quench the fires of division, and seek only to do Your will today. Spread the cooling balm of your compassion over all those who are in sickness, pain, anxiety, or sorrow, especially those we now name. 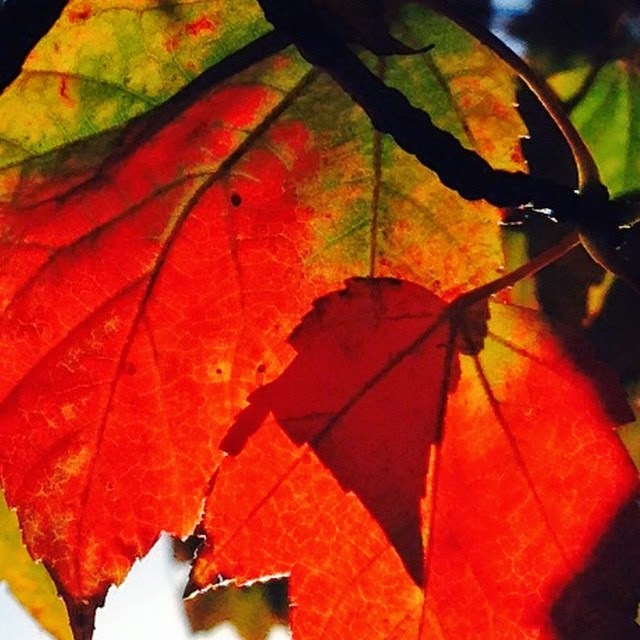 Autumn begins today at 9:21 am. Loving One, we place ourselves before you in prayer and worship, seeking your peace which surpasses all understanding. Help us to live in peace and understanding with each other, loving others as we love ourselves. Guide us to a more perfect understanding of your will so that we may act according to your commandments. Remind us that it is your will, not ours, that needs to be done. Send, we pray, your Spirit to guard and comfort those who are troubled or in pain today. Almighty God, what is done is done. Teach us what to do with that, and teach us how to be wiser. Teach us to truly love our neighbor, and remember that our neighbor includes the stranger in our midst. Teach us that our first duty is not suspicion, but love. Help us reorient our hearts, dear God, that we be united, not divided. Help us to see You in the face of every person we encounter, even in the faces of those of different races, creeds, or religions. Heal the hearts of those who are in pain, distress, anger, or grief, O Lover of our souls, especially those we now name. 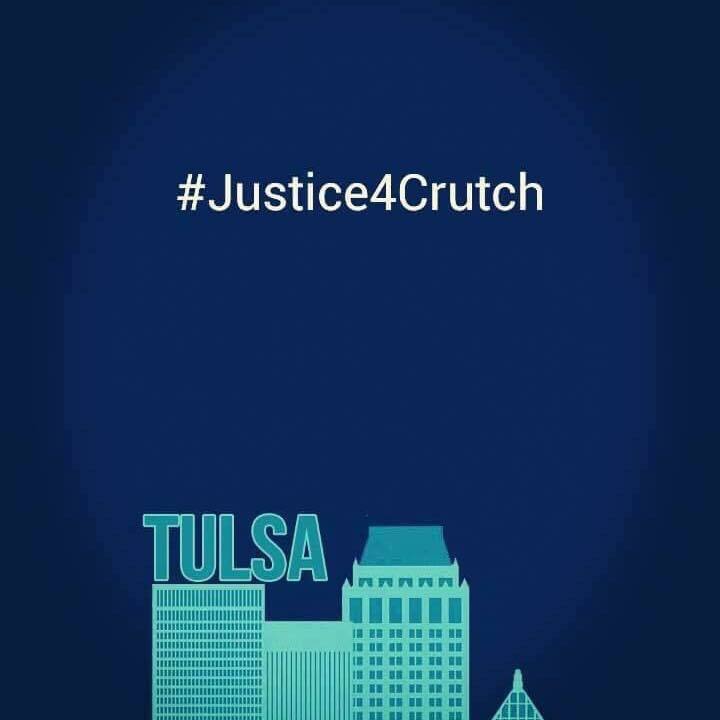 Justice for Terence Crutcher, and an end to execution on the streets. Most merciful God, abide within our hearts, and guide us in your way of justice. Help us to repent of the sin of fear of those different from us, denying your goodness in each other. Forgive us for dividing your children into "us" and "them," and privileging comfort over justice. Forgive us for extolling violence even as we decry it and allow it to stoke our fears. Help us love Christ's face in every person, and honor the dignity of God's image in every person without fail. Help us remain true to God's repeated command to stand with the oppressed, the sorrowing, the marginalized. Let us keep the peace through walking in justice and compassion for the oppressed. Lead us into loving You by loving each other, and replace our hearts of stone with hearts beating true for your kingdom of peace. Gather up our prayers, O Holy One, and give your angels charge over those for whom we pray. Written in response to the shooting death of unarmed Terence Crutcher in Tulsa by Officer Betty Shelby, who was later acquitted of all charges in his killing. Almighty One, let our prayers rise to You as the morning mist, that we may praise You in each moment of this day. Forgive us our sins and pride, and convert us anew to love and service, we humbly pray. Dwell within our hearts, Lord Jesus, and help us make them into a temple worthy of your mercy. Give us the grace to serve You fully, Lord, and carry your gospel into the world in all we do. Give us strength to seek out your path and walk in your ways in love and service. Crown the spirits of those hurting, anxious, or oppressed with your blessing, O Holy One, especially those we now name. 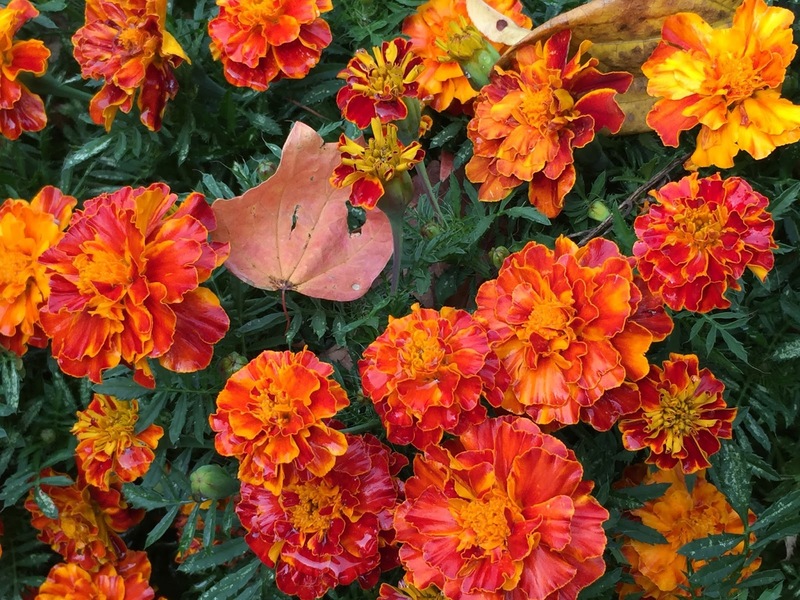 Marigolds in Shepherd Farm garden, Church of the Good Shepherd, Town and Country, Missouri. 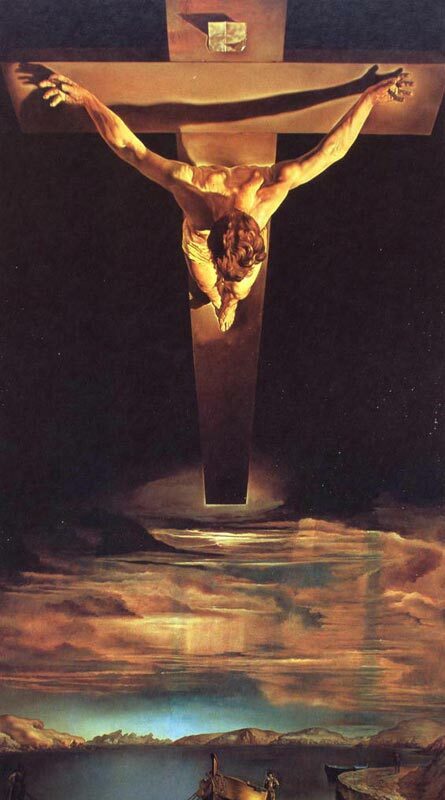 Most Merciful God, we thank You for the weekly remembrance of the resurrection of your Son, our Savior, Jesus Christ. Let us gather before God's altars with joy and in peace with all, remembering your unending mercy and love. Forgive us our failures and faltering faith in You and each other, that we be rededicated to turning away from sin and hatred. Remembering the unbounded grace, mercy, and forgiveness we receive, let us go and do likewise in our lives. Help us to be faithful in small things as well as great, as we seek to be remade in the way of Jesus. Send, O Lord, the power of the Holy Spirit to help heal the world through our willing hands, and place your blessing on those we now name as we pray. It's Saturday, so, God willing, it's the day that includes the 5:05 service at St. Martin's in Ellisville this evening. Most Merciful God, receive our prayers and praises, that we may serve You in unity and peace. Give us discerning hearts and a will to serve, singing with joy as we are called by our Shepherd's voice. Guide us by your light, O Christ, and open our eyes to your truth, that we may be renewed and transformed. May the beauty of God enlighten us, that we may reflect and testify to the Light, animated by love and wisdom. Shield and comfort all who are in distress, O Holy One, and make us bearers of peace and unity in your Name. Gather within your embrace all those for whom we pray, Blessed Jesus. Almighty God, fill us with the light of your wisdom, that we may carry your banner of truth into the world. Make us disciples in word and deed, that we may work to heal the world's divisions and lighten the burden of the oppressed. Bless the hands of those who heal, especially doctors, surgeons, and nurses, that they may use the gifts you have given them skillfully. Bless the hearts of those whose compassion is an inspiration, and guide us to be more like them. Spread your mantle over us as we seek to serve You, O God, and extend your blessing over those we now name. O Beloved, your glory rises within our hearts as we give thanks before rising for all your blessings. Lord Jesus, you are our daystar and our guide: may we seek you first, last, and always. In all our thoughts guide us and keep us in paths of peace; let us seek the wisdom to know your voice when You call to us. Let our actions testify to your light, O God, and our joy to the beauty of your kingdom. Help us to rebuke the powers of death, fear, and hatred; kindle your love within the hard of heart. In our joys and our anxieties let us rest in You, Spirit of Wholeness, and send your angels to tend to those for whom we pray. Written in response to eleven gun deaths in Chicago over the weekend, bringing their homicide total to 500 for the year, and the killing of 13-year-old Tyre King in Columbus, Ohio, after pulling a BB-gun from his waistband. Osage Monastery Forest of Peace, Sand Springs, Oklahoma. Holy God, the light rises in the East, and we kneel before the glorious cross of your Son our Savior Jesus Christ. Let us attend with joy your call to repentance and renewal, that your grace be a balm poured over our hearts. Let us look upon the One who laid down his life for us in order that we might live and love with abundance. When day is ended, let the story this day tells be one of gentleness, compassion, and care for all of your glorious creation. Let us walk in the footsteps of Jesus, living a life of healing, justice for the poor and outcast, and sacrifice for others. Let us live each moment having loved God and each other with all that we are and ever hope to be. Embodying Christ's hands, heart, and feet in the world, we remember also these your beloveds, and ask your blessing, O Holy One. 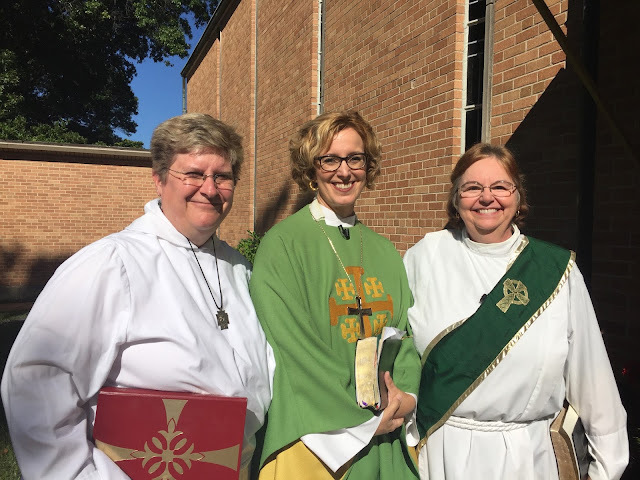 The three amigas at Church of the Good Shepherd in Town and Country, Missouri. Lord Jesus, we place all of our being-- hearts, hopes and our very breath-- securely within your care, rejoicing in the dawn. You have watched us through the velvet darkness: abide with us as we carry our love for you into the world. The sparrow sings from the rooftop: let us sing out our thanks and praise forever, and witness to your light in our lives. Lord God, guide us into paths of peace and reconciliation: gentle our hearts, and bring us to unity in You. Holy One, Merciful and Steadfast, place your healing hands upon our cares and sorrows, our pains and burdens. Even in the busyness of our day let us remember that You tenderly envelop us in love for the love of the entire world. Lord, we lay our intercessions before You as a priestly people: bless and keep us, and those for whom we pray. Christ Church Cathedral, St. Louis, Diocese of Missouri. Holy One, we thank You for watching over us through the night, and welcome the morning You have placed before us. Heal us of our sins and offenses, that we may live in wisdom, gentleness, and integrity. Help us to empower the powerless and protect the weak. Guide us in paths of peace and compassion today, that we may bear each other's burdens with joy. Having rested in your refuge, let us go forth in the strength and power of the Holy Spirit, witnessing to your truth. Help us to embody the life of Christ, to bring your love into the world. Holy One, we place within your care all those who are troubled in body, mind, or spirit. Comfort the vulnerable, Blessed Jesus, and place your hand upon those who call upon You. 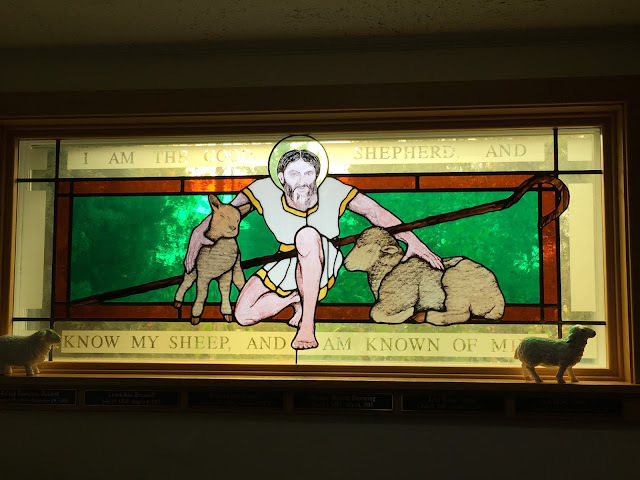 Window at Episcopal Church of the Good Shepherd, Town and Country Missouri. tt is Homecoming Sunday! Good Shepherd of our souls, keep us in wisdom, that we may remain with rejoicing within the sound of your voice. All like sheep we wander afield, and find ourselves misled by folly and stubborn pride: yet You seek us always in your love. Your faithfulness and compassion, Lord Christ, rescues us from the pit: you hold us fast when we fall. Your care for us pours over our heads like a soothing balm: we are secure in your arms, and comforted by your embrace. Carry us upon your shoulders with rejoicing, dear Lord, and restore us to unity with our brothers and sisters. In your mercy, may we abide with You forever, at peace in verdant pastures of peace, justice, and plenty. Bless us and keep us, O Holy One, and lift those who call upon You upon the rock of your love. Cairn, Osage Forest of Peace, Sand Spring, Oklahoma. Almighty One, Beloved, Merciful God, we offer our hearts and hopes to You this day. In the darkened rooms of our hearts, we fumble blindly for You, Lord Christ, forgetting that You are Light, and abide forever with us. Help us to let in the Light of Christ, therefore, to fill the corners of our spirits with hope and compassion. Lead us into paths of righteousness,that we be a priestly people praying on behalf of the world for unity and peace. Let us be transformed by the power of your gospel of reconciliation and mercy, O Spirit of Truth. Enveloped within the chorus of heaven, let us place our intercessions and joys before You, O God, and rejoice. Lord, accept our prayers and praises, and those we offer for our loved ones. Today's my birthday, and I love this picture of Baby Me napping with my daddy. Gracious God, we draw near to You with joy, and give thanks for your steadfast Love as we rise. Let us awaken the dawn with our songs of praise, and center ourselves within the One who gives us life. You have known us and loved us, O God, from the moment we first drew breath: You hold us each moment in the hollow of your hand. 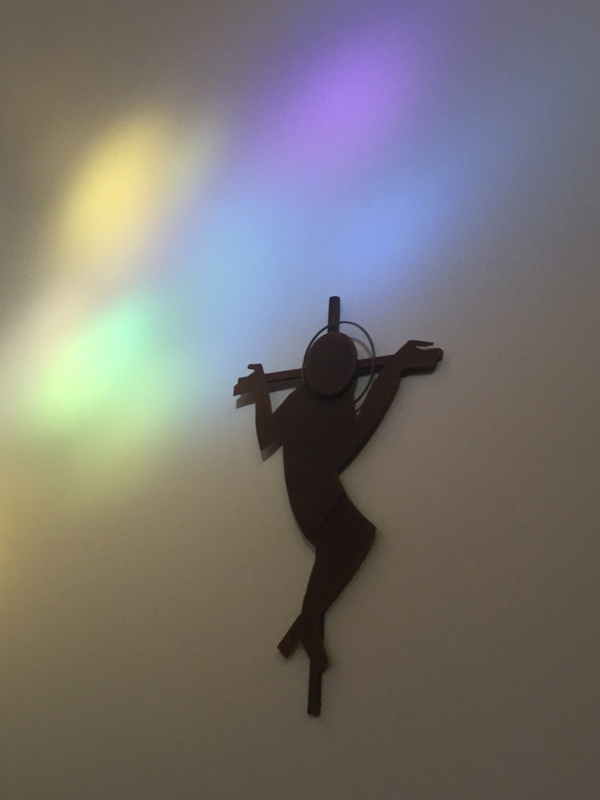 Bless and keep us today, Lord Christ: may the shadow of your mercy shelter us and bind our hearts in love for one another. Place the kiss of your blessing upon all whose needs we place before You, we humbly pray. Window at Emmanuel Church, Webster Grove, Missouri. Lord Jesus, you stand at the door and knock: let us answer in joy and hope! 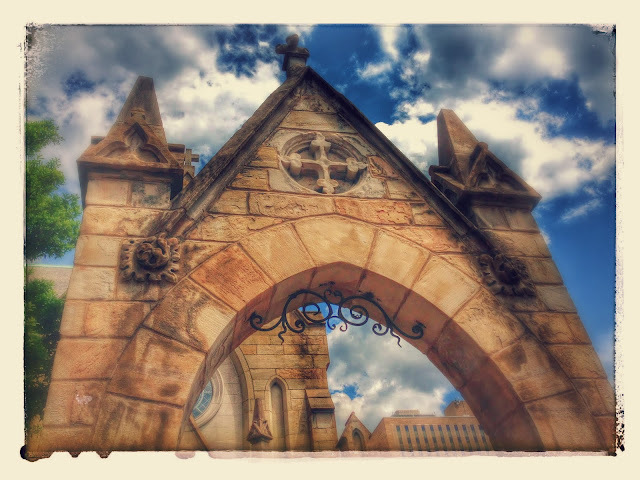 Let us open wide the doors of our hearts, to welcome love in and to sweep out all bitterness. Let us open wide the doors of our minds, to welcome wisdom in, and seek the Way of Truth in Christ. Let us open wide the doors of our souls, to welcome the Spirit of Compassion to fill us with light and peace. Most Merciful God, Earth-maker, Pain-bearer, Life Giver, place your seal of blessing upon us, and upon those we remember before You, we pray. Detail on the facade of Press Hall, Eden Theological Seminary. Lord Jesus, let us abide in you this day. Let us cast aside the suspicion and distrust that isolates us from our God and our brothers and sisters. Let us open our hearts to love fully, opening our arms and hearts to the world in joy. Let us step forth onto the path of truth, and be warmed by the wisdom of your way. Let us be bearers of the light of peace, and be tempered by the fires of justice. Let us be animated by the Holy Spirit to be compassionate toward all fellow-beings. Holy One, we walk by faith and hope: let us always trust in your promise of mercy. Guide and guard us into the arms of your love, and let your tenderness rest upon those we now name. Detail from a window at Sainte-Chappelle, Paris. 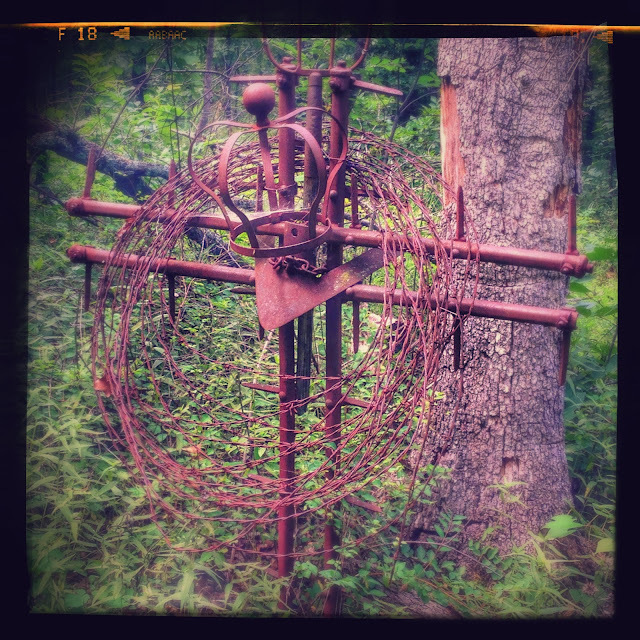 This coming Sunday we will be presented with two short parables about God seeking the lost, no matter the cost. The first parable about the lost sheep in verses 3-7 has a parallel elsewhere-- in Matthew 18:11-14:“Take care that you do not despise one of these little ones; for, I tell you, in heaven their angels continually see the face of my Father in heaven. What do you think? If a shepherd has a hundred sheep, and one of them has gone astray, does he not leave the ninety-nine on the mountains and go in search of the one that went astray? And if he finds it, truly I tell you, he rejoices over it more than over the ninety-nine that never went astray. So it is not the will of your Father in heaven that one of these little ones should be lost.” Matthew 18 begins with a discussion of greatness—the disciples ask Jesus who is the greatest among them, and Jesus instead speaks of little children. Luke’s gospel speaks of sinners instead of children, which can color the reader’s reaction. Children are innocent and also not responsible for their own actions, while sinners are guilty and are responsible for their own actions. On the surface of this parable, God/the Messiah is the shepherd. This is a symbol that was very common in scripture (Numbers 27:17; 2 Samuel 5:2; Psalms 23, 28, and 80; Isaiah 40:11) and the Pharisees undoubtedly understood its meaning. Yet this parable about the shepherd starts off with placing the Pharisees in the role of the shepherd: “Which of you…” Jesus asks, would not go out and rejoice over the sheep being found? The Pharisees and scribes are certain of their godliness—like the 99 sheep, they are sure that they have never strayed. They believe that sinners are outcasts through their own fault, and it stands to reason that it is the sinners who have to change in order to rejoin the “flock.” Yet here it is the righteous who are abandoned by the shepherd for the sake of the one sheep who is lost. Jesus is asking the righteous sheep to imagine themselves in the place of the shepherd in order to open up their understanding, to consider not just who they are but how they are to act toward the lost: with judgment, or with mercy? This is not how the Pharisees believe society should be ordered—sinners are lost through their own fault, and therefore count for nothing. But in the story God (as the shepherd) takes the initiative to find the sheep/sinner. The entire way of life for the Pharisees and scribes is being challenged here. They believe that the righteous should not be counted for less than the lost-- but that is exactly what Jesus is saying with this parable. They also believe that sinners should have to work for their redemption through adopting right actions—but the shepherd doesn’t require anything of the lost sheep. God carries the sinner back into community after seeking out the sinner. Just as we saw in the Jeremiah reading last Sunday, it is God who is faithful and constantly approaching the lost and initiating reconciliation. What does this mean for us today? Aren’t we also too often interested in justice for those who we perceive as having done wrong, but often praying for mercy when we ourselves are at fault? This parable brings to life the concept of grace—the free gift of forgiveness from God which we can never earn. Amazing Grace, even, (as the hymn goes) that saved a wretch like me! Jesus dining with sinners and outcasts offends the Pharisees and scribes because it violates their sense of justice. Mercy has no role to play in their system. In the Pharisaic system, God is a passive, distant figure who is appeased by humans following rules that they themselves have developed over centuries. 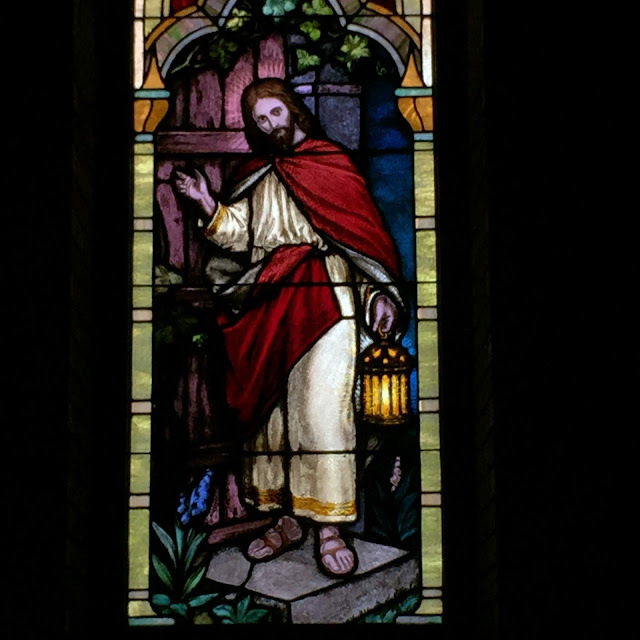 But Jesus insists otherwise--God seeks us out constantly, loving us enough to come to us in our own flesh in order to save those who cannot find their way. In Jesus’s explanation, God is the one who loves and cares for the lost, constantly searching them out, and making them the priority in the kingdom of heaven. Our only response to the unbelievable gift of grace by God is an outpouring of thankfulness and gratitude in love, which is the greatest gift we can offer to God. 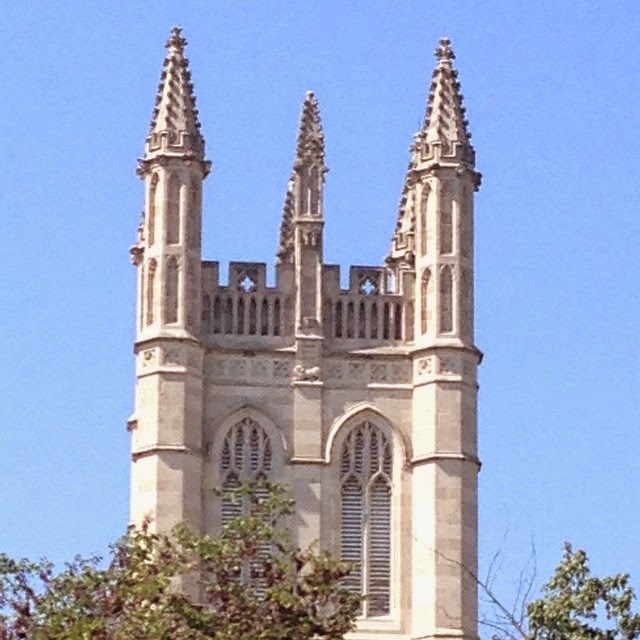 The Tower at Press Hall, Eden Theological Seminary. Lord Jesus Christ, we lift up our hearts and lives to You, offering You all that we are, rejoicing in your abiding love. For all who rejoice and celebrate their blessings today, we thank You. For all who seek and travel the holy path of compassion and peace, as You yourself guided us, we thank You. For all working to amend their lives and reconcile to those they have hurt and to forgive those who've hurt them, we thank You. For all who have lost their way, or who have lost hope, that the Spirit of Wisdom and Truth enliven them, we pray to You. For all who sorrow, or who are anxious in the face of uncertainty or injustice, that they be freed and comforted, we pray to You. For all who are in pain or sickness in body or mind, that they be healed and restored, we pray to You. Holy One, accept our praises and our cares as we lay them before You, and bless and keep those we now name. 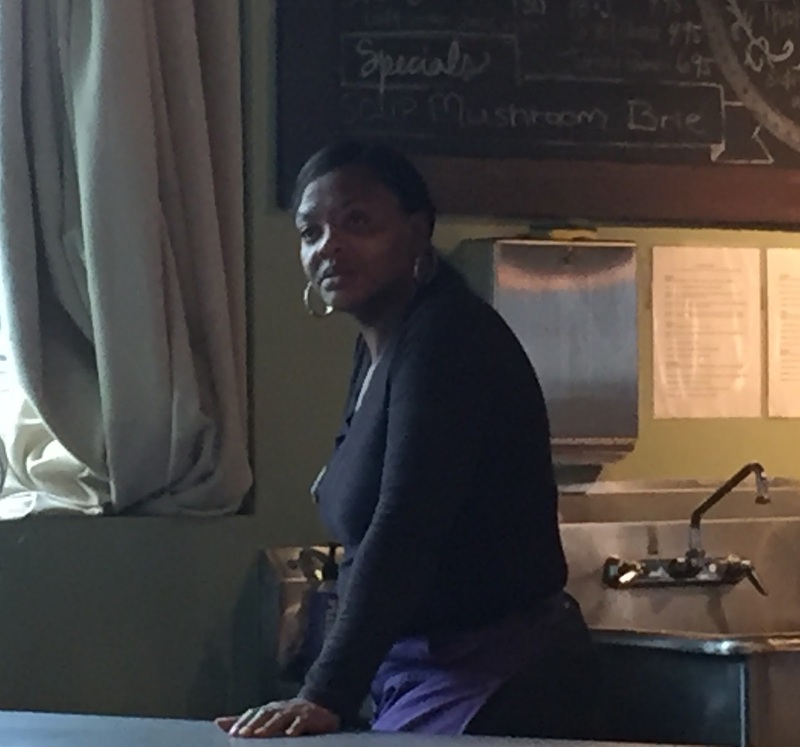 As I give thanks for the working men and women whose labor has made this country great, I remember this lovely lady at Thistle Stop Cafe in Nashville, who helped make us feel welcome and showed such hospitality. Holy One, your hands built the foundations of the world: we pause from our labors to give you thanks and praise. Lord, You called us to establish justice: may we remember our obligation to love each other as we love ourselves. Help us, O God, build a society in which the dignity and contribution of every worker is honored, and wealth is used righteously. O Creator, who rested upon the seventh day, let us work not just for a living but to have life abundantly. Remembering your abundant grace, let us work alongside those who are in want, and act with justice toward the poor. Help us act with justice to help those who search for work, that all may dwell in security, and that we honor, support, and affirm each other. Giving thanks for our fellowship in your kingdom, O Holy One, we ask your grace to rest upon those we now name.